Pew Research asked Americans how they feel about institutions like corporations, government, and churches. Among the 10 institutions Pew asked about, churches and religious organizations fell in the middle. Small businesses and technology companies like Google and Apple were viewed most positively. Only 1 in 7 (14 percent) believe Congress has a positive effect on the nation. Millennials had the lowest view of churches. Their opinion of religious organizations fell 18 points since 2010. In 2015, 55 percent of young adults believed churches have a positive impact on the country compared with 73 percent five years ago. The drop among millennials comes when other generations view churches more positively. In 2010, millennials had the highest view of churches. Today, it’s the lowest of any generation. Similarly, Gallup found only 42 percent of Americans have a “great deal” or “quite a lot” of confidence in the church or organized religion. This marks the lowest amount since the question was first asked in 1973, eclipsing the previous low of 44 percent in 2012. And it’s 13 percentage points lower than the historical average (55 percent). Those who trust the church have not amounted to a majority since 2009. Numbers have not been consistently above 50 percent since the 1990s. Read more from this issue at FactsAndTrends.net/SmallChurch. 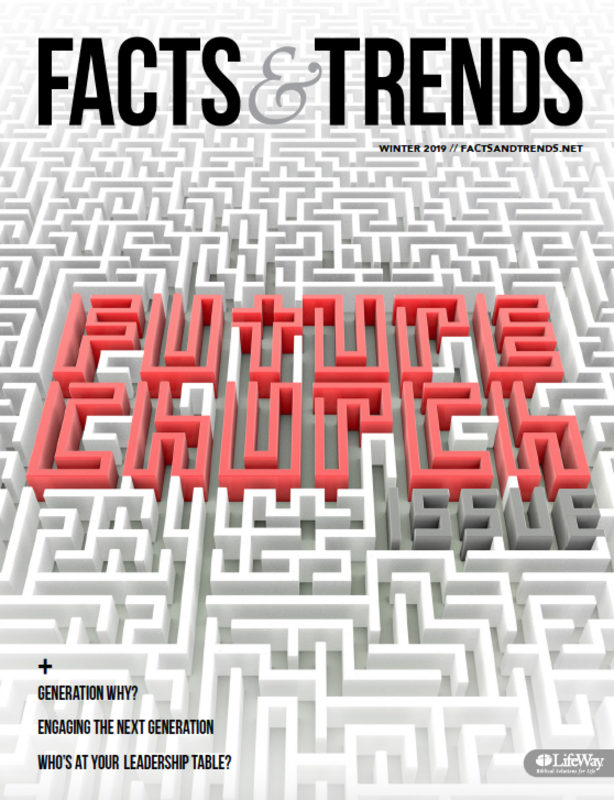 Subscribe to our print edition for free at FactsAndTrends.net/Subscribe.